I admit, I'm not a contender to the Most Valuable Domesticated Mommy award. Because as a full-time working mom, I rarely have time to cook or bake anything. But like any other working mom, I'm kind of sure of this, I wish I could stay more at home and fulfill the domesticated roles like, first and foremost, take care of the kids, next cook all meals for the family and maybe sometimes bake or prepare dessert for them. But don't get me wrong, I do cook, and my family says I cook well (they're a fan or they must really love me that much). Unfortunately, I only get to cook real meal on weekends and desserts occasionally. Such as this one time. I checked the refrigerator, found two packs of all purpose cream and a can of condensed milk. 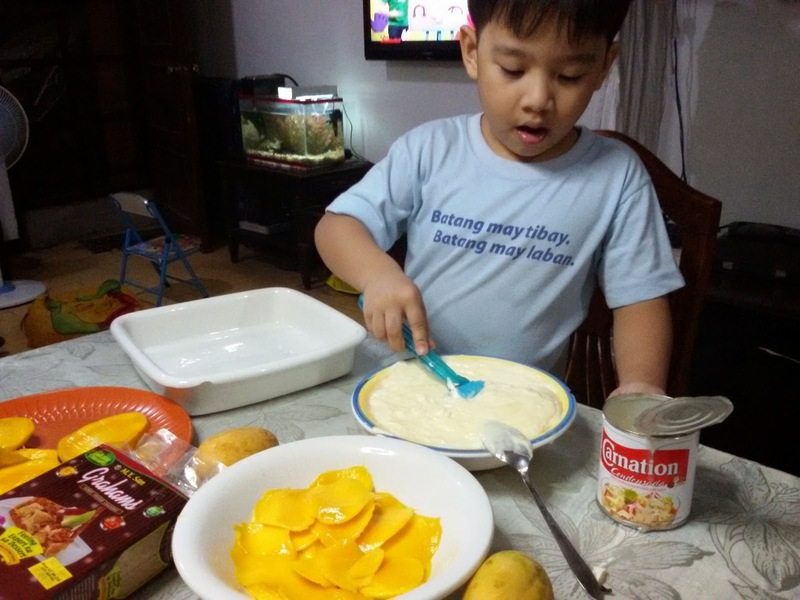 So I said why not whip up something my kids love, Mango Float! It's very easy to do and no baking needed, only the ingredients, a good piling mechanism, and refrigerator. 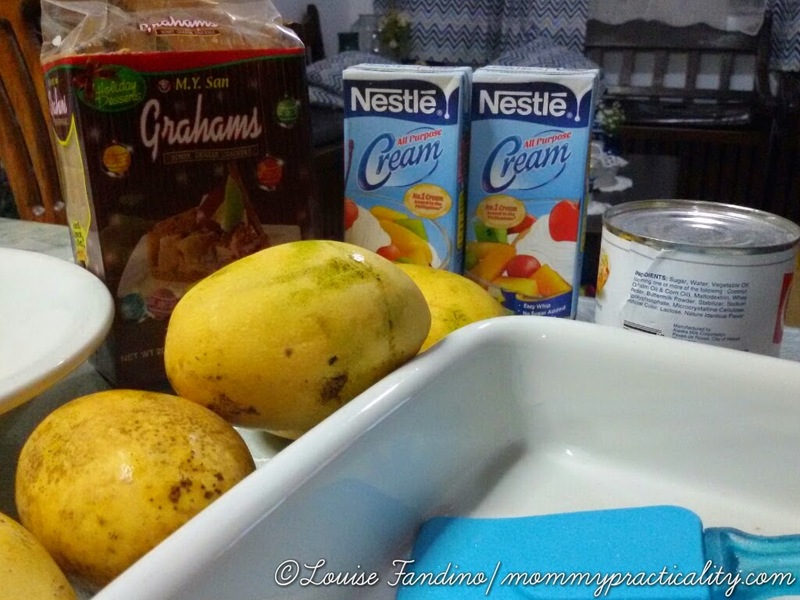 So here's my Simple Mango Float Recipe! 1. 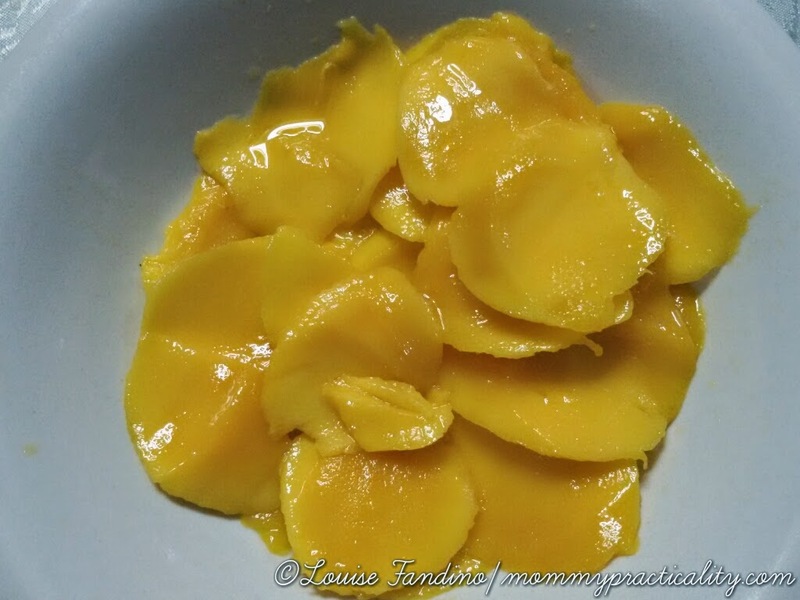 Thinly slice the ripe mangoes. 2. In a bowl, put the chilled All Purpose Cream and whip it until smooth. Don't forget to get a very cute and adorable assistant loves okay? 3. 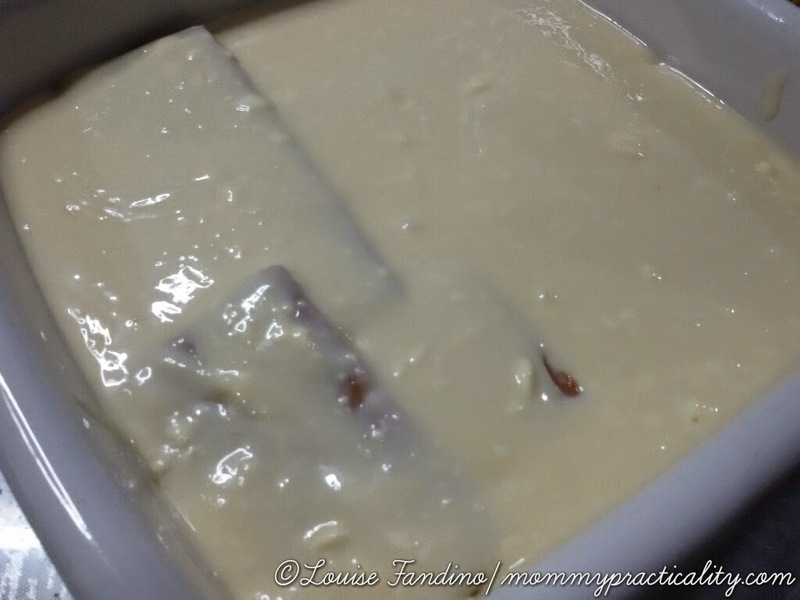 Put in the condensed milk into the bowl of the all purpose cream. Mix well. 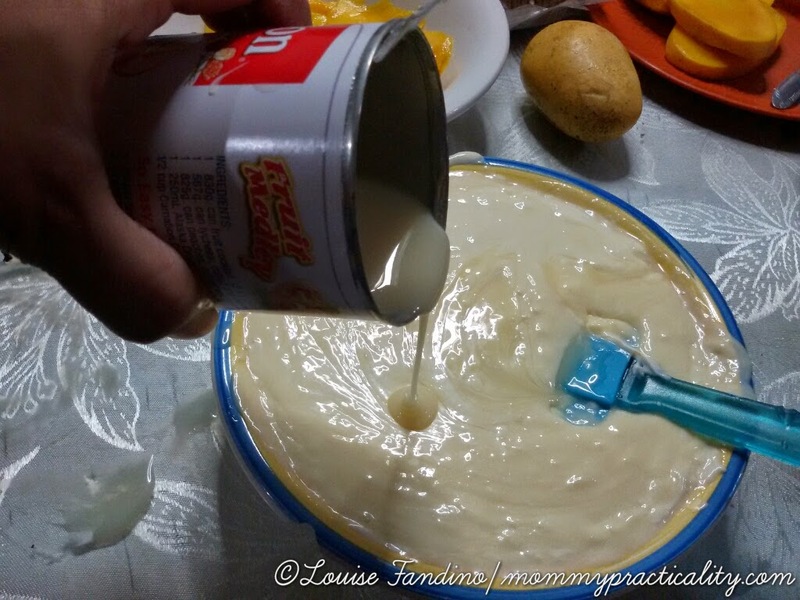 You could add more than 3/4 condensed milk depending on your taste or if you want it sweeter. 4. 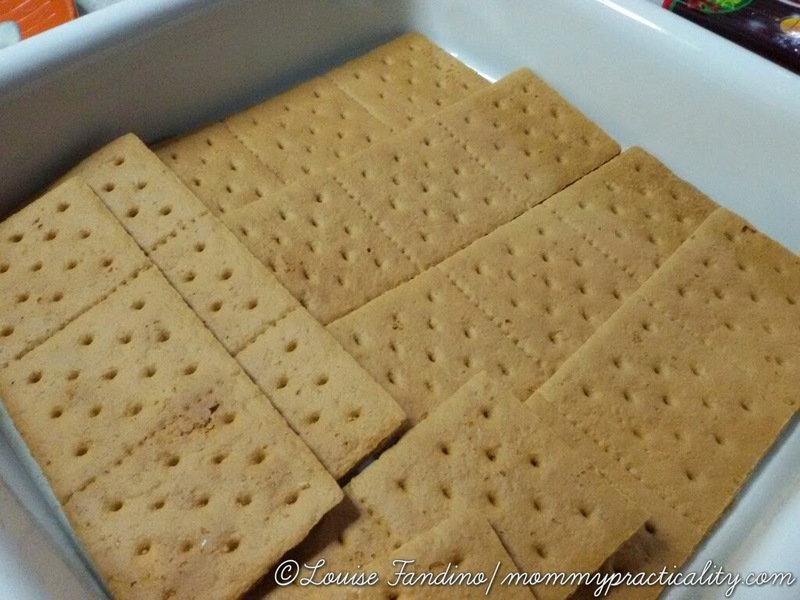 In a rectangular or square glass dish, arrange 6-8 pieces graham crackers. 5. Spread the cream and milk mixture over the Graham Crackers. Make sure it's even. 6. 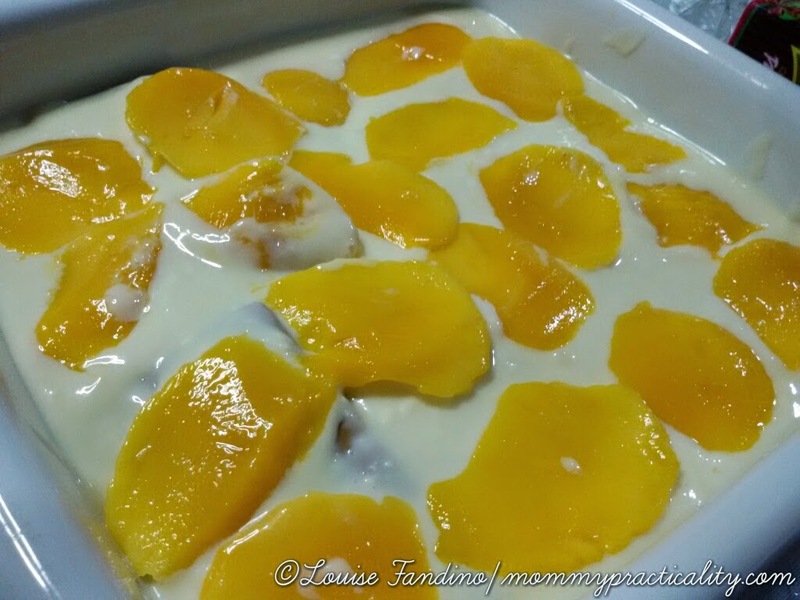 Place the thinly sliced ripe mangoes evenly on top of the cream and milk mixture. 7. 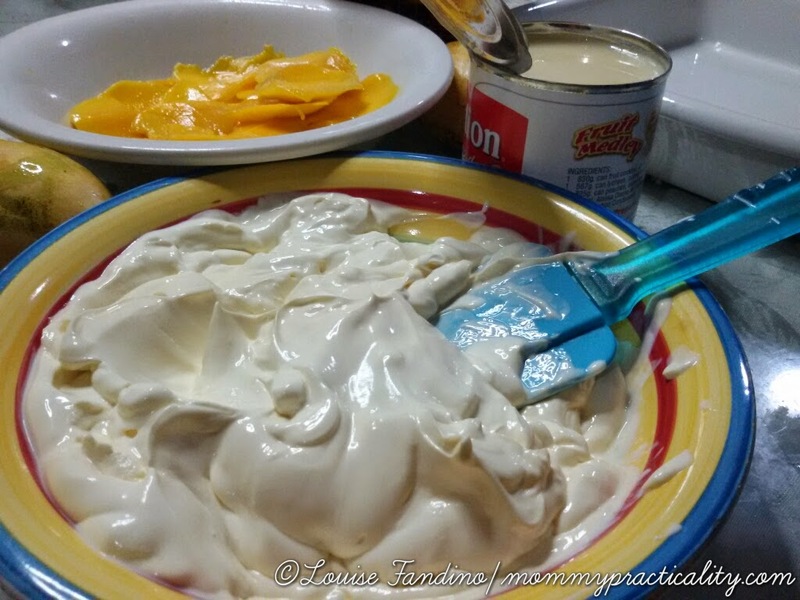 Repeat the layering (Graham Crackers, Milk/Cream mixture, and Mangoes). 8. 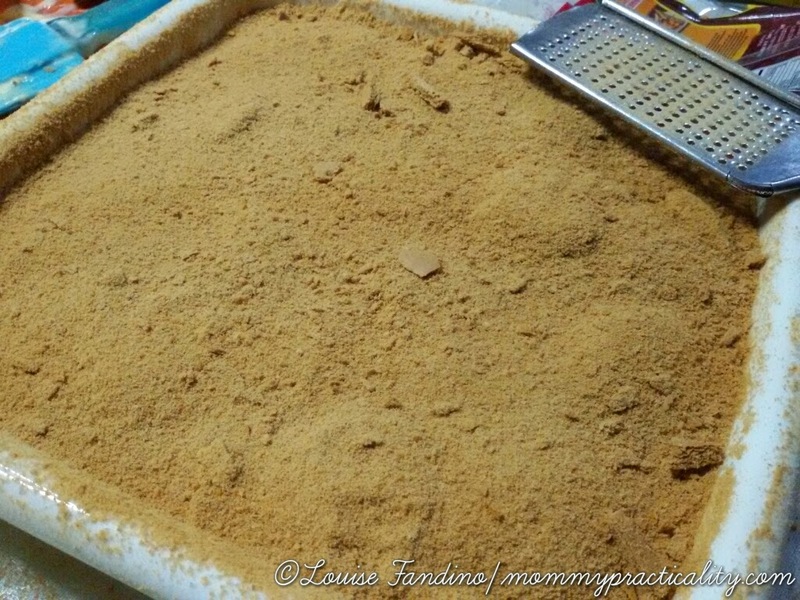 If you have crushed Graham Crackers, you may distribute them on top of the layered pan. But to be more practical, you may just get 1-2 pieces and grate them. It will give you the same effect. 9. Decorate the top of your float with extra mangoes such as this one. 10. 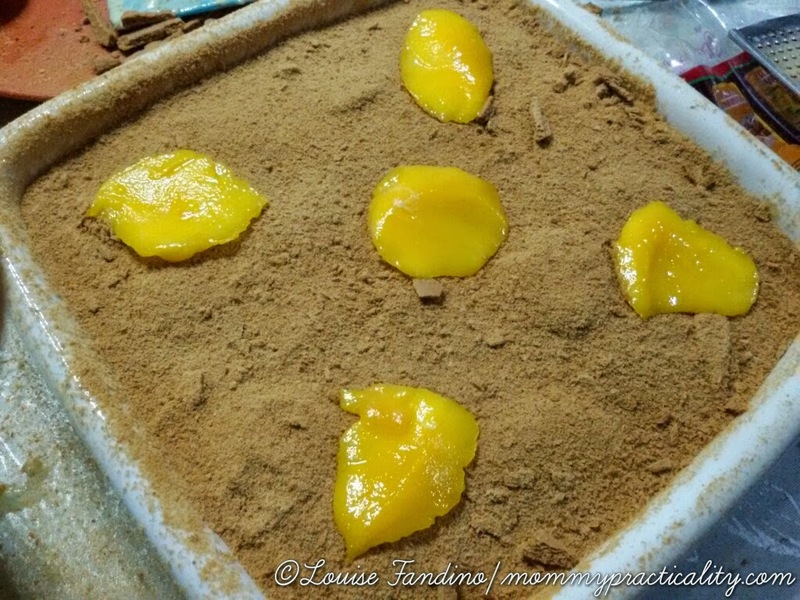 Chill the Mango Float for 2-3 hours before serving. Here's my finished product loves! :) My kids (and even colleagues) loved it! It's not expensive, it's easy to do and it's a practical and simple recipe which anyone of you could do at home too! how about swimming lessons in the QC area? Hello already updated the list with Bert Lozada Swimming Lessons. :) thanks! YMCA Binondo has lots of activities too. check them out. There's a new school for PERSONALITY DEVELOPMENT for kids upto professionals. It's called LA VIE INSTITUTE. I was there last week with my 2 kids. Manunuod lang kami sana ng Movie coz i heard may new cinemas sa Commercenter Alabang. Then i saw this La Vie Institute just beside the bikram yoga. the school is so nice! very sosyal! the people there are also very friendly and accommodating. they even offered us drinks (coffee, iced tea, juice). when i entered the school i thought it's quite small lang but when i saw the inside facilities, grabe super nice! anlaki nya sa loob. one of the consultant assisted my 2 daughters for their FREE assessment. yes it's free **** without any hidden charges. the assessment is like an interview to know the needs daw of my daughters. well i admit that my daughters mejo shy type **** sila. the sessions are more practical like they have first aid sessions for kids which i think very useful talaga. their summer classes will start by april. and i will definitely enroll my daughters. they have a program for modern woman too!. for moms daw that's why they offered it to me. well i'll think first about it but it's quite interesting din. well for the rates it's not too pricey compared to other personality development schools. and what i love about this place is the location itself. i can take my yoga classes while my kids are having their sessions or i could watch a movie while waiting. Hi. my 12yr old daughter wishes to learn guitar for this summer? any recommendations? Thanks in advance. You may go to any Yamaha School for musical instruments lessons which they offer year round. Thanks. uhm, are there any gymnastics class for my 14 yr old daughter? one around makati or fort bonifacio area? is there any modelling workshop? What's Wessie and Dandre gonna have? Kaeden wants karate. Do you know if they have in Xavier? hihihi..
look at the Learning library. Yes, there's The Learning Basket and Kumon too. I will be updating the list to include their classes. Thanks. This is so helpful! Helped me a lot last year with organising summer activities. Brilliant list this year, too! Thank you for this information Louise. Very detailed. I know around June is back to school for kids. Do you know of any of these activities run thru June and July? I am taking my kids home for the first time and it would be nice to have some of these activities as part of their vacation. We are here for a vacation and this list helped me a lot in looking for activities for my kids who love playing soccer and dancing. Thank you! Hi Mommy! Can you also feature JumpingClay Art Workshops? Thanks!